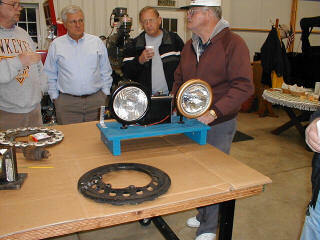 The November meeting was held at Jack Putnam's garage near Bluffton. Bob Torbet led the meeting with 11 members in attendance. This was our first meeting with name tags and everyone seemed to be OK with the idea. For once we knew everyone in the room. It's not that we didn't know everyone before, it's just that we're all getting old and kind of forget from time to time. It was decided to treat our December meeting as a regular meeting and hold off on our Christmas/New Year's party until the first meeting of the new year in January. 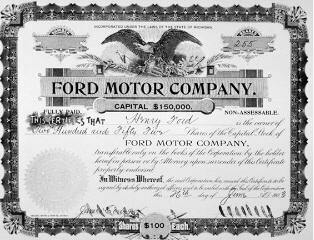 The Ford Motor Company has sent us a full set of news releases for the 100th anniversary of the company. They have requested that we send them any stories that we have about our favorite Ford and how it has affected our lives. If you have something, Jim Cook will write it up and submit it to them. There has been some discussion about purchasing the newest release of tapes from the MTFCA. These tapes are very informative and would be a welcome addition to our library. If you haven't seen the tapes in our library, you should. There's always a lot to eat at our meetings. 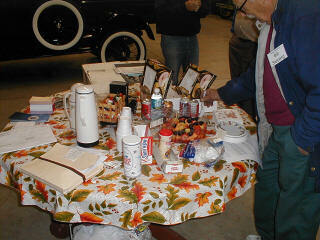 Cookies, Candies, Coffee, Soda, and Fresh Fruit is enjoyed by all. Meetings are held on the first Wednesday of every month. This makes the Northwest Ohio chapter of the MTFCA one of the more active clubs in the country. We have just recently completed sponsoring the 14th Annual All Ohio Model T Jamboree and continue to receive letters of thanks for the fine job that our club members performed to keep the event running smoothly. It was fun for everyone. The club has also gained international recognition for its part in the T-100 project. Our web site is visited every day of the year to look at the pictures that are posted about the engine building for the project. We are the number 1 noncomercial linked site on the Internet. 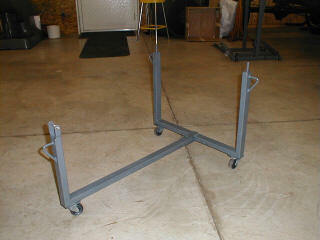 The reason that I mention our most recent accomplishments is to remind us that we are capable of great things. We need to continue to bring new projects, fresh ideas, and new questions for the membership to investigate, discuss, and solve. Let's stay as active as always. There are a couple of member's cars that need some work to get them running. Here we see the latest and greatest oil delivery system for the oil starved Model T. This invention is designed to pick up oil that is draining down the back of the field coil. The oil builds up in a little trough and is forced by the pressure in the trough to run to the front of the engine pan through a tube that is about the same size as the traditional funnel tube that catches oil near the top of the magneto. 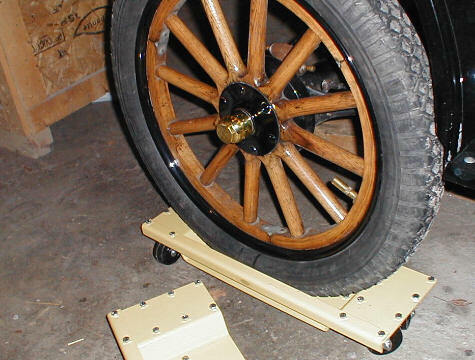 The tube is attached to the pan by a plate that slides under the horse shoes that are used to hold the crankshaft inspection plate in place. 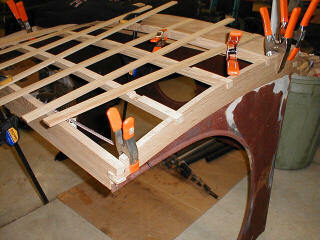 The pictures show the location of the tube running up the right side of the pan. This system along with the traditional tube, pan dam, and a magneto post oil line might just give us enough oil to the number 1 rod to keep it from running dry. All of this effort to provide oil to the front of the engine is put forth to solve the problem of lint clogged oil lines. 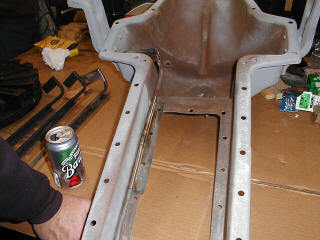 If it weren't for the lint coming off of the transmission bands, non of this effort would be needed. 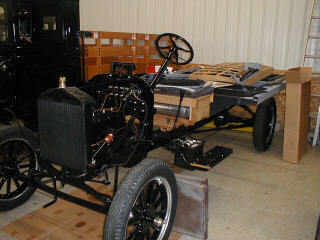 A Model T engine running most of the time on level ground will receive enough oil to lubricate the engine. 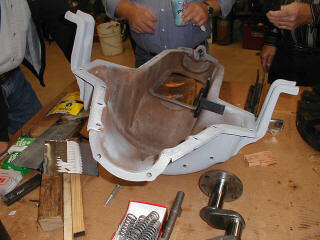 Other solutions that have varying degrees of merit are a dam behind the number 4 piston to keep more of the oil under the crank, a lint filter under the transmission inspection plate to catch lint from the bands, inspection ports on the top of the transmission housing to look down the oil funnel, and the use of Kevlar bands to cut down on the amount of lint in the system. We probably should ask for a sponsorship from Coke of Pepsi, since I always seem to get one of their cans in a picture of every issue of this newsletter.